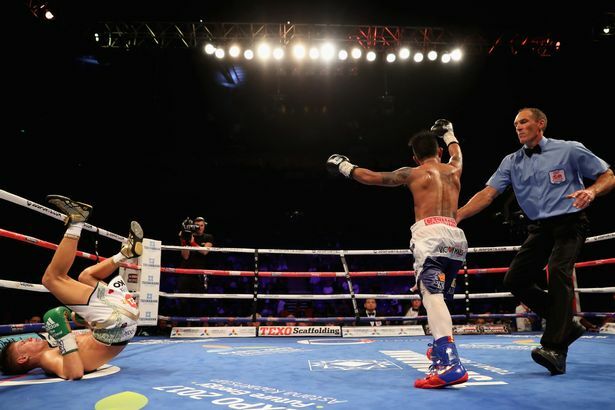 Filipino world champion outclassed the Brit Challenger in their fight today, at O2 Arena in London. Casimero knockout Edwards in 10th to successfully defended his title. Casimero was a monster in this fight, he was more accurate and connects more powerful than the Brit challenger. Casimero wabbled Edwards in 4th and 7th, the Brit somehow also connects when fighting at the center but Casimero wasn't hurt and keep coming forward, and in the 10th round clean right hook connects that puts Edwards in trouble, however, he stood up but the referee halts the fight to prevent more damage. Casimero improved his record to 24 wins with 3 losses while the Brit Challenger tasted his first defeat and dropped his record to 8 wins with 1 loss. In the Main Event GGG wins via TKO when Brook's trainer wave the towel at the 5th round of the fight. Brook looks hurt but it was a very top decision to make for his trainer because Brook wins some round and still can fight..